It turns out all I had to do is reverse the polarity of my field power to make the car go the right way. And I didn't blow up my field spike suppression diode. And I believe my field power interrupt relay welded itself shut because it was really cheap. Test drive #2 was merely around our townhouse complex. It wasn't far (a few hundred feet) and it wasn't fast (20 km/h), but it sure was exhilarating! And eerily quiet. I got around to buying some insurance for the eBooger. 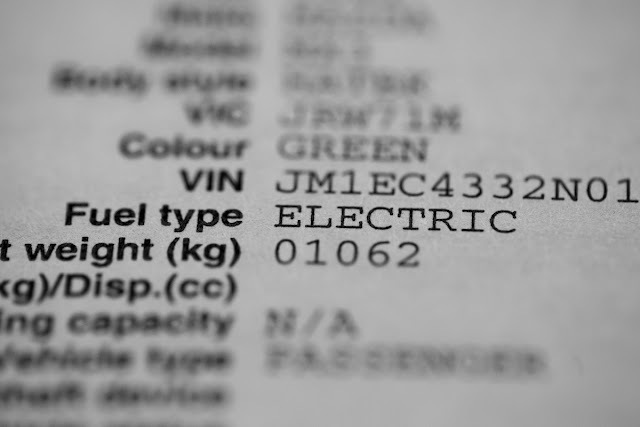 It turns out, all I had to do is ask the nice insurance lady to switch my fuel type to "electric" to change it. I don't know if it actually means anything, but it sure looks cool on the registration!